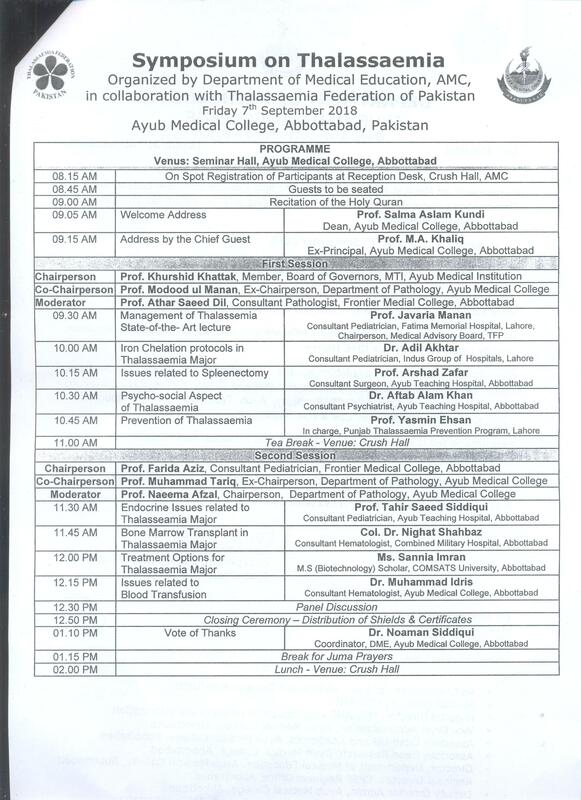 Symposium on Thalassaemia - Ayub Medical College, Abbottabad. 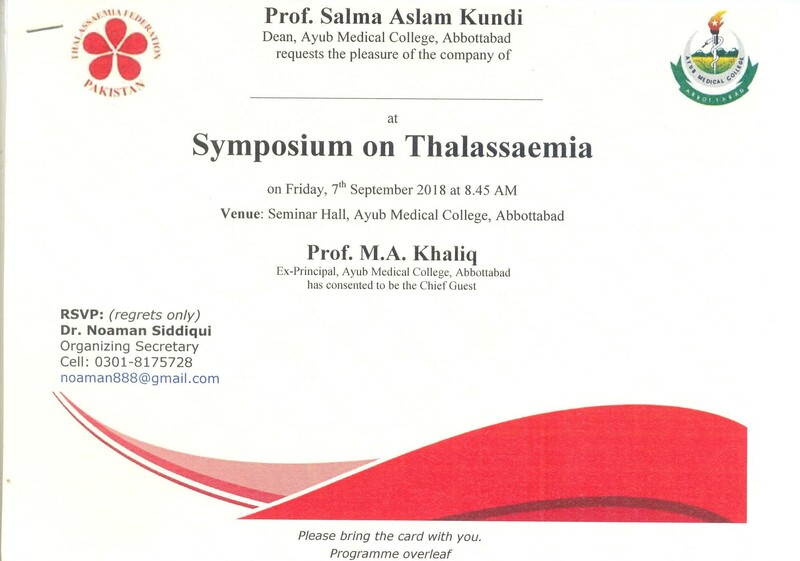 Eminent speakers and experts on Thalassaemia will be presenting their research work and sharing their experience on this deadly, yet preventable disease. All the Faculty members, TMOs, MOs, HOs are encouraged to attend this academic activity which carries 4 CME Hours. Registration forms are available in Department of Medical Education, Ayub Medical College (Contact Person: Mr. Waheed Gulzar, Cell No. 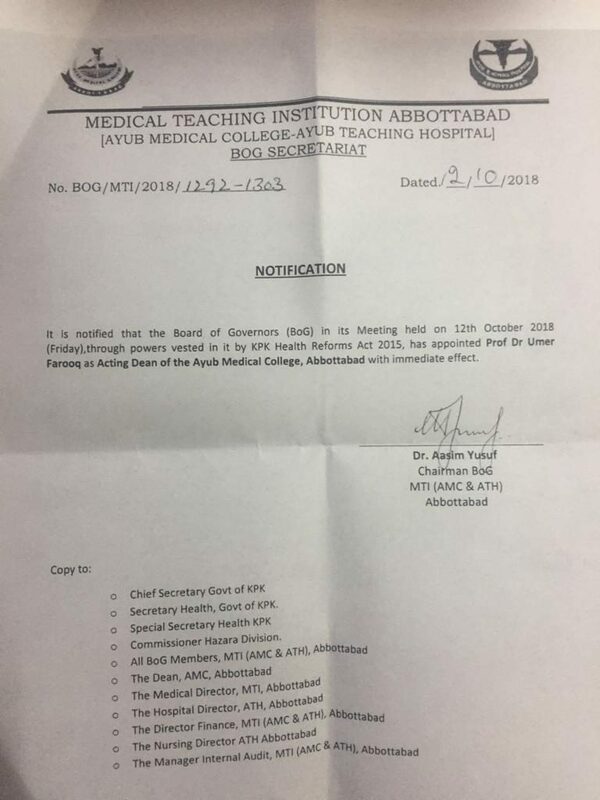 0312-0887788) and Department of CME (old CPSP office) Ayub Teaching Hospital, Abbottabad (Contact Person: Mr. Munir, Cell No. 0347-9793160). Registration fee is Rs. 1000/- per participant that includes ‘certificate of attendance’, refreshments and lunch. Limited Slots are available on ‘First Come First Serve ‘ basis.